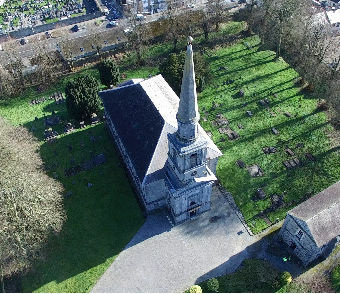 The Cathedral Church of St John the Baptist and St Patrick's Rock Cashel from David Mullins on Vimeo. St. John the Baptist and St. Patrick�s Rock, Cashel, resting at the heart of Tipperary�s Golden Vale, is an epicentre of Irish and European heritage, with a history which predates the discovery of America and the New World by over a millennium. A home to saints, scholars and warrior chiefs, it overlooks a magnificent landscape from atop the world famous Rock of Cashel. Nearby the Cathedral perimeter walls date back to the 13th century and the 19th century library houses ancient manuscripts and books, while the age of part of the graveyard remains unknown. Always peering at worshippers is the rock of Cashel and Cormac�s chapel. These images occupy many pages in many books throughout the world and we who live in Cashel are surrounded by history with a modern Cathedral as part of the course. The Apostles’ Creed affirms our belief in God as Trinity – Father, Son and Holy Spirit – and that Christ was born to the Virgin Mary, died and rose again from the dead, ascended into heaven, and will come again.